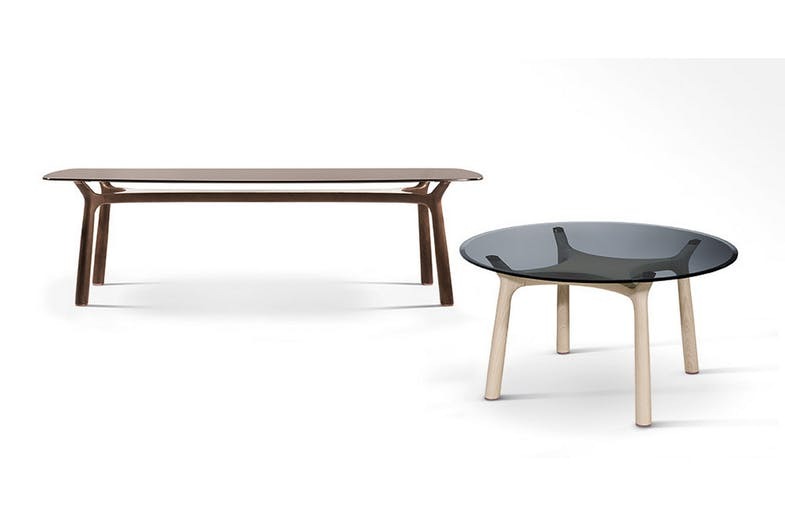 A series of round and rectangular tables with the base in solid ash wood, available in five finishes: natural (fin.96), anthracite grey (fin.93), ash grey (fin.68), walnut painted (fin.2N) and dark painted (fin.67). 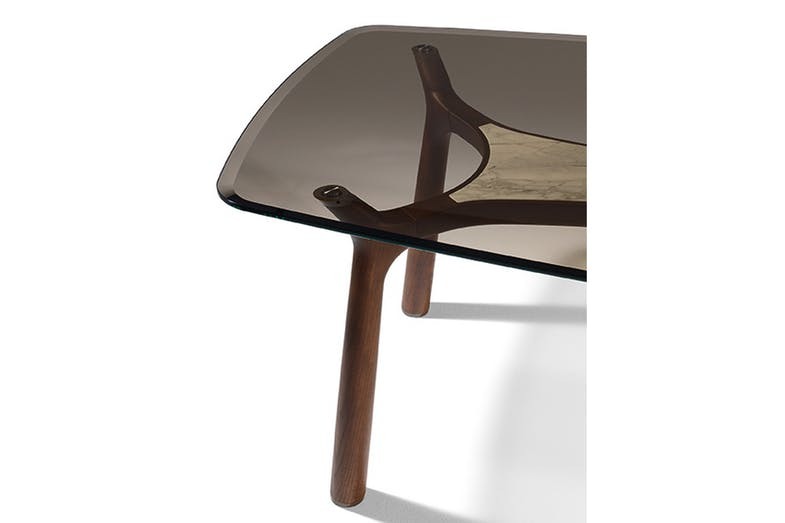 The top is in tempered stratified crystal glass, by coupling a sheet of extra-clear glass with a sheet of grey or bronze glass. 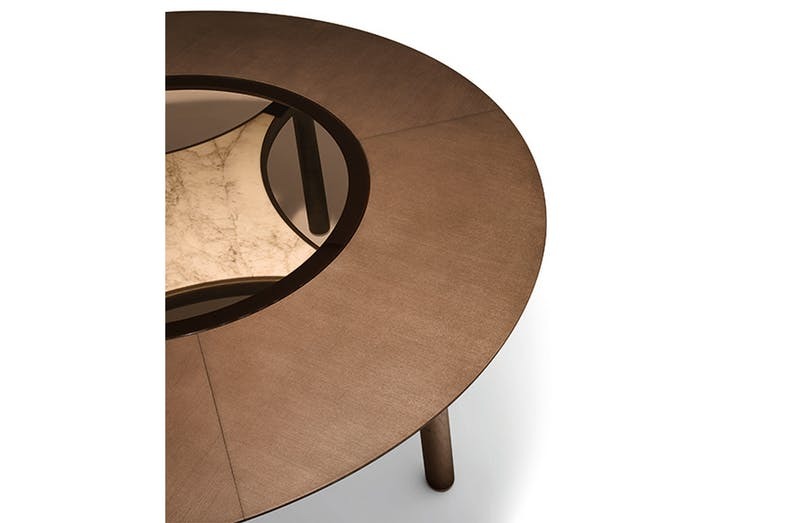 The inserts under the top can be available in ash wood veneer or in marble in the calacatta gold or Portoro versions. 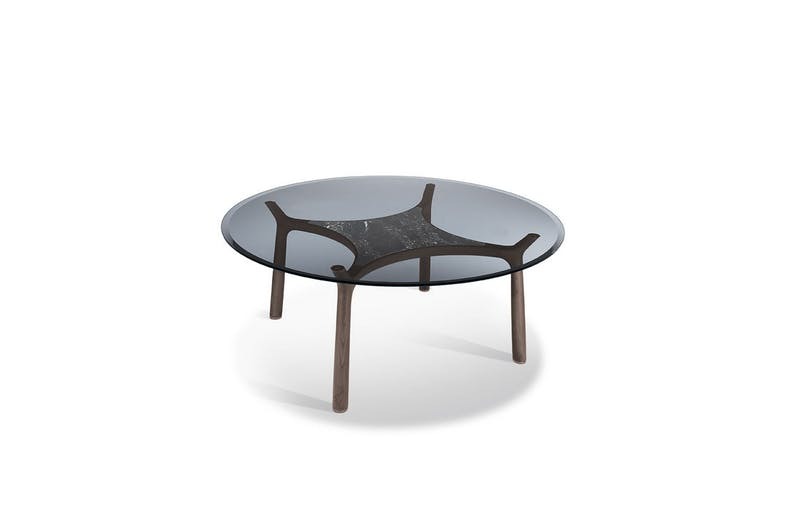 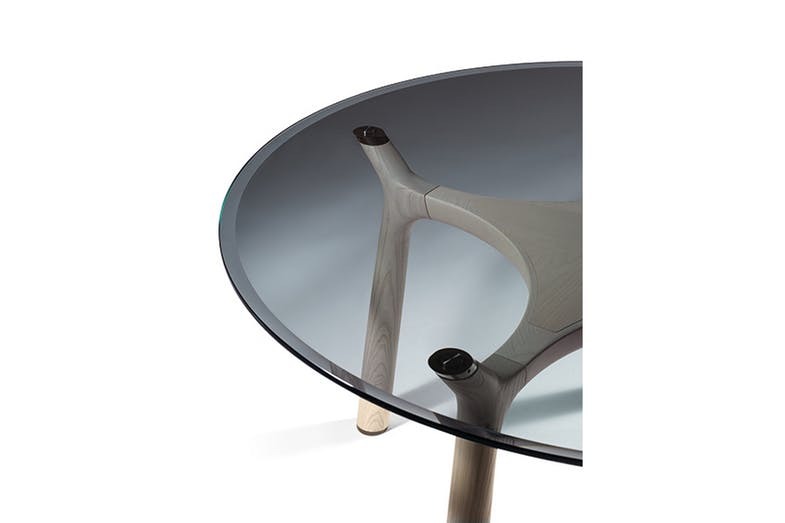 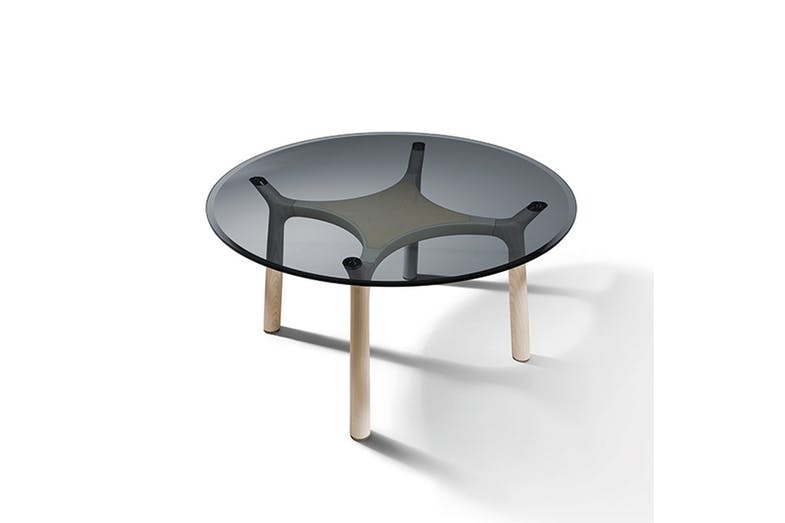 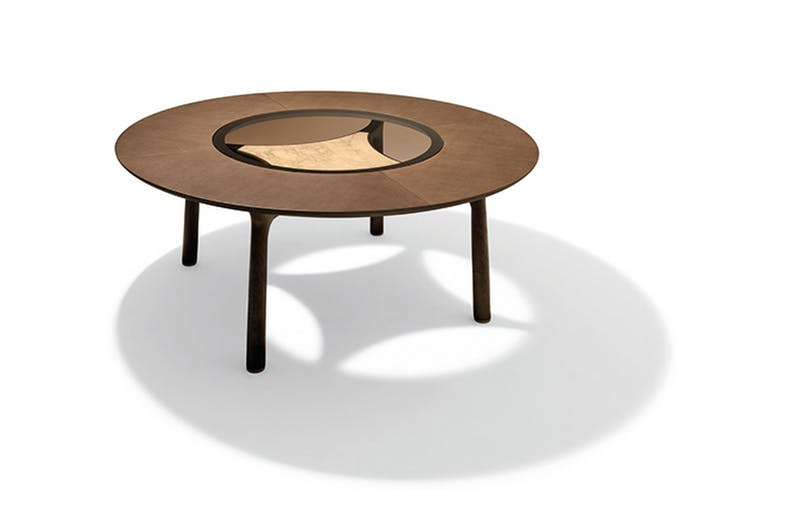 The round version of 180 cm is available also with the top in ash wood with lazy Susan insert in crystal glass. 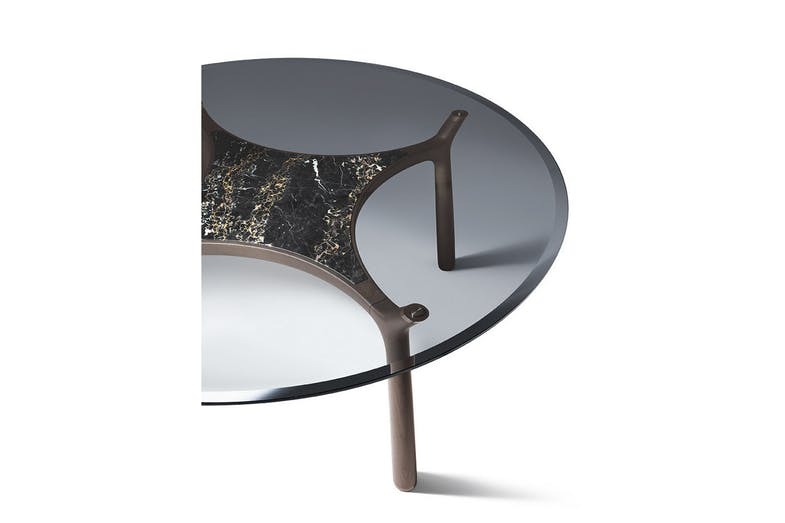 The spacers and the foot-caps are in metal painted in a bronze colour with natural effect.